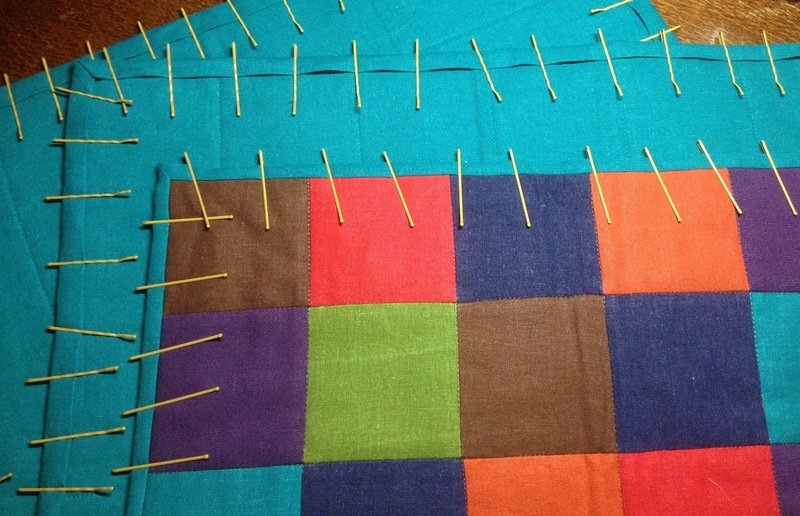 Binding a quilt, or in this case, place mats, using straight pins can be awkward. Instead, I like to use bobby pins. They are easy to slide on and off, but still hold firm enough until you can sew the seam down. You can buy special binding clips, but they can be expensive compared with the price of a card of bobby pins. These “blonde” pins work great, as they are easy to see on both light and dark fabrics. I also use bobby pins to hold PLU and other fabrics that are either slippery or too delicate for straight pins.